I hope you all had a great weekend! It looks like the Spring weather has finally arrived. And I am very happy for that! 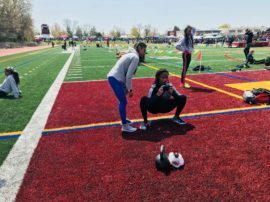 Also this weekend, Coach Rekha and myself made it out to Bishop McNamara High School this past Saturday to check out DSP athletes Daniel Fox and Nyla Ward. 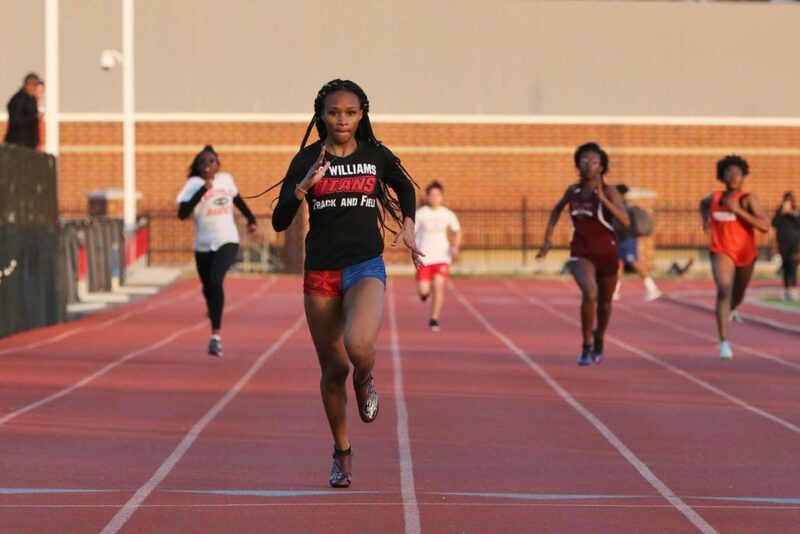 It was a tune up meet for them, as both are heading up to Pennsylvania on Thursday for the Penn Relays. This is BIG time! The Penn Relays are the top track and field event held in the U.S. The best high school, college, and pro athletes in the World will be competing. I am excited to see how well they do! Both had really good weeks. Nyla broke another meet record with a jump of 19 feet 8 inches. It seems like she’s breaking a record every other week! 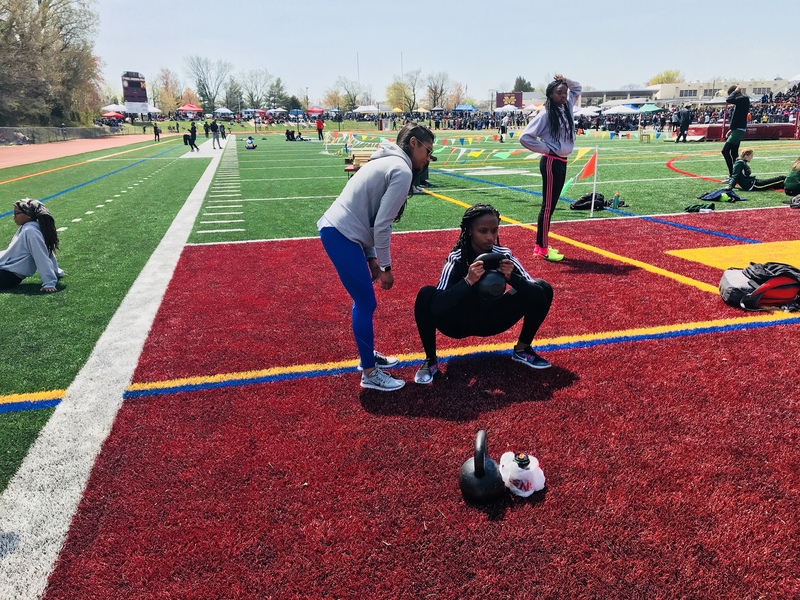 We spent more time on strength work and less training at the track this week. And it really paid off. She had a couple of jumps where she would’ve easily hit 20 feet if not for very close scratches. She’s on the cusp of hitting that historical mark. I am looking forward to her getting it done this week. Stay tuned! I got a chance to see Daniel in his 100 meter race. He won it pretty easily. Our goal for Daniel is to get him to relax his arms a little bit and to use his strength and ability to produce power more. Daniel is still learning how to run. 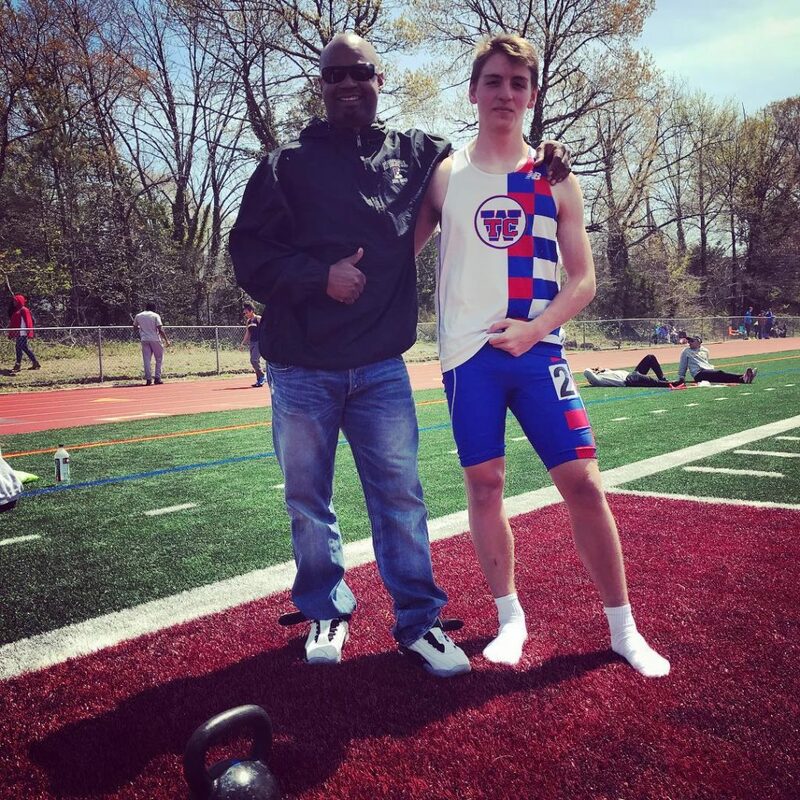 If he keeps improving at the rate he’s going, he will be one of the top high school sprinters in the U.S. very soon – mark my word!! I’ve been spending a lot of time at the track lately but this week I am going to make it out to some of our kids baseball games. So I’ll have some updates on some of our other athletes next week. For all of those that follow us, I am going to commit myself, along with the DSP Coaches to getting you more footage of training in the DSP Lab. This is sometimes difficult to do because were so focused on coaching the athlete. However, I believe It’s more important to give everyone a little more backdrop on what we do! So on Mondays look forward to a weekly recap of some of our training sessions at DSP. There will be videos from all of our coaches in their training sessions. This week I only have videos from Rekha and myself. Next week we’ll get you footage of all of the DSP Coaches in action! Here’s the first installment. Hope you enjoy the videos! 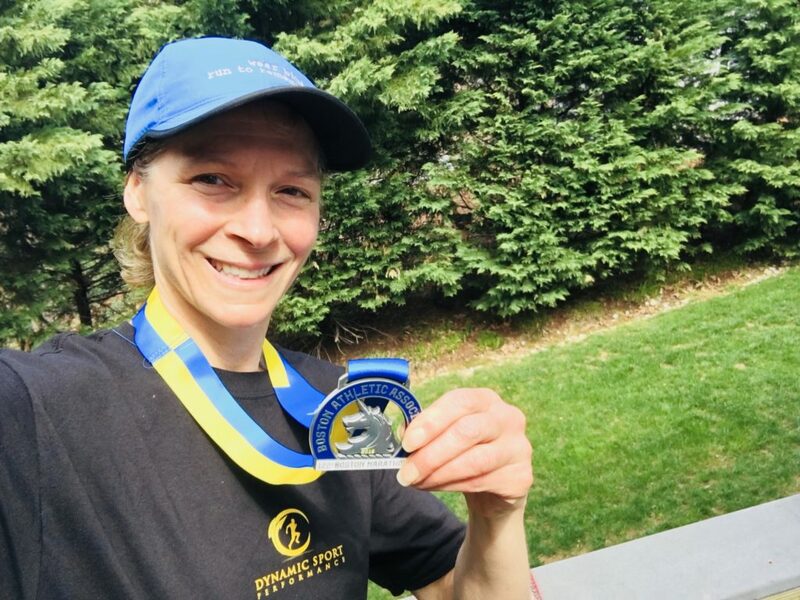 Congratulations DSP Coach Tania Jones who ran in the 122nd Boston Marathon last week!! Although the weather conditions were some of the worst seen in decades, Tania finished the marathon in 3:55:21! The elite runners were almost 20 minutes slower than they’re PR times because of the weather just to give you an idea of how rough it was. And just to let you know how she rolls – Tania was back at DSP training 3 days later! We’re so proud of Tania!!! DSP Weekly Video Recap #2Another Awesome DSP Event!